While I actually gave credit to the Bible for being cryptic, I'm going to harp on Compton's Processional for the same reason. Except for a single poem, I can honestly say I haven't had the foggiest idea about what she's trying to say. Most of the metaphors are completely over my head, she throws in references of topics I have no clue about, and she's often vague beyond belief. In one particular poem, "The Store In Winter", she has a peculiar thing for math (using words such as "quadratics," "square", "factor," "figures", and "count"). The poem is a perfect example of what is wrong with this book. The poem itself is, on the surface, something to do with winter. How math ties in is anyone's guess. Poems shouldn't be easy, but they sure as hell shouldn't be guessing games either. I had the same feeling reading Compton as I did when I read Heaney; that perhaps the problem lay with me, not with the poems themselves. But shag that. I've read enough poetry at this point to have an intelligent, informed opinion. And my opinion is this: if every poet wrote like Compton, I wouldn't be reading poetry. I couldn't care less that it won the Governor General's award- that speaks more of the judges than of the poems, as far as I'm concerned. The one poem, the one and only poem, that I like even remotely is "The Waiting Room". It deals with the duality of life (and death) and is actually comprehensible. My guess is that Compton forgot to go back and cut out all the clues. It has a particularly witty line, "The heart though you cannot halve." There are traces of this wit in the other poems as well. Unfortunately the others aren't worthy of it. I should have realized that anyone who's edited a compilation of Milton Acorn poems would not be up my alley. What irks me even more is the credit she is given. 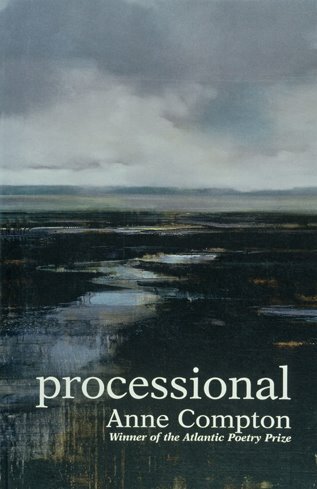 Books In Canada tries to pass off her often disjointed poems as "crafting the speaker's consciousness" and actually implies she is brave for "never bothering to establish clear connections." Please. If an unknown tried to pass off this s&*%, it'd never see the published light of day, let alone win an award. Hi! I wonder if you wouldn't mind copying the picture and uploading it to Blogger yourself? That would save my bandwidth! If you mean the cover photo, I'm not sure why it's using up your bandwidth. It's the same cover photo, from the same source as the one you posted on your own blog, except a smaller size. In any case, I'd rather not copy photos myself. I'm hazy about copyright laws, so I'm playing it safe (I think) by linking to the original source. Sorry. "My guess is that Compton forgot to go back and cut out all the clues" Oh good one! I don't usually bother to continue reading something that leaves me completely in the dark, which is why it took me forever to pass Biochem, I guess. Barbara, I'm not sure why I'm continuing either to be honest. I guess it's short, I've only got 30 pages or so left. I don't want it to become another "Tess of the D'Ubervilles" for me, whereby not finishing it will haunt me. But if I'm not getting it, what's the point? Maybe I'll finish it tonight while listening to Lou Reed's Metal Machine Music. It's using up my bandwidth because it is posted on my blog; I copied it and uploaded it myself, as I do all images I post, with links to the original. Otherwise, I would be using others' bandwidth if I just linked to images on their sites. I don't think you need to worry about copyright. Posting a picture of a book you are reviewing is fair use. If you are still worried about copyright, though, perhaps link to the picture on the publisher's site, or on Amazon. Someone who doesn't have to answer to their IT people about their bandwidth use. November is "Read A Ballycumber Month"!! !